Southside based in South East London covering all of London and South Essex. We provide body shop work, accident and mechanical repairs. 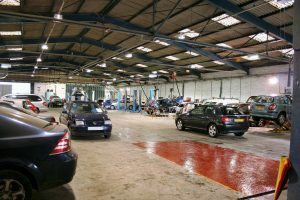 The management have made major investments in staff training, equipment and systems to ensure that Southside has the means to offer excellent vehicle repairs and a great customer experience. Southside are a close, happy team of technicians and drivers we take the greatest pride in everything we do. Southside take care of everything. When your accident is reported to us we will deal direct with your insurance company or fleet manager on your behalf. We will take away your damaged car and we will return it to you just as if the accident had never happened. We go the extra mile to impress our customers and our vehicle turnover is fast and our skilled technicians are dedicated in their work. 1. Making contact with Southside Just give us a call or drop us an e-mail and we will book your repair at a date convenient to you. 2. Your vehicle arrives at Southside – You can drop your car off or we can pick it up, it’s entirely up to you. One of our friendly team will examine your car and answer any questions you may have. 3. Your repair begins – Once we have your vehicle we will perform an estimate and order any parts required. We will wait for the estimate to be authorised before the repair can begin, usually taking around 1 day. We will then contact you to let you know when we aim to complete the repairs. 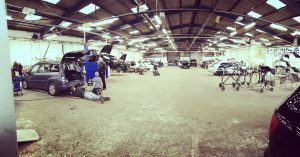 Quality Check – Finally the vehicle will be quality checked by our workshop manager and the repair will be complete. We will keep you informed throughout the process, and you are welcome to call us any time with any questions. 5. Returning your vehicle – Once the repair is complete we will give you a call and arrange to get the vehicle back to you. You can come to collect it or we can deliver it to you, whichever is best for you.